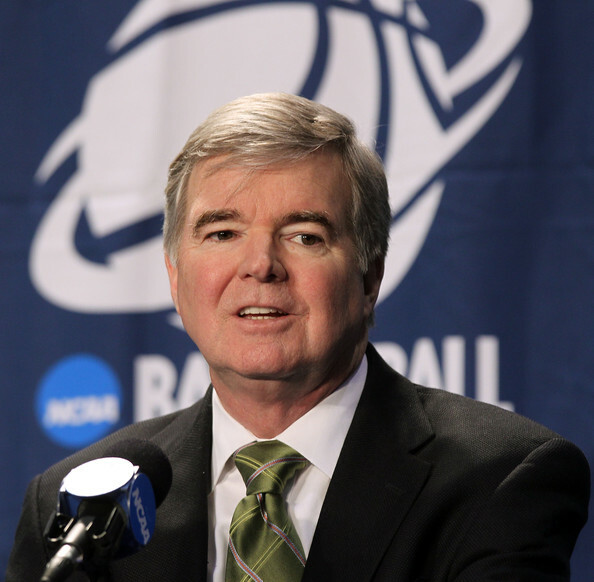 With all of the recent controversy that has surrounded the NCAA, the last thing Mark Emmert needed was another point shaving scandal in college basketball. Unfortunately for the president of the NCAA, who squirmed around during a recent Frontline interview like he was being interrogated about a bank robbery, Emmert appears to have another set of unpleasant questions to answer. We still don't know all of the particulars about the incident, but whenever or wherever the point shaving took place, it seems doubtful that anyone is going to cut Emmert much slack once all of the facts about the case are uncovered. In all, 10 people have been implicated in the indictment which alleges that there was a conspiracy to commit sports bribery at the University of San Diego, a scheme that also included the operation of an illegal sports bookmaking service and the distribution of marijuana. The FBI is currently conducting its own investigation into the matter but regardless of how ugly things get over the coming weeks and months, it seems clear that an organization which uses the phrase "don't bet on it" to dissuade it's student athletes from getting involved in these types of situations has once again failed to do so. Despite what the NCAA might have us believe, it shouldn't be very surprising that another college basketball point shaving scandal has come to light and that it involves a team few people have ever heard of. Sure, there were the infamous point shaving scandals at Boston College, Arizona Sate, and Northwestern, but trying to orchestrate something like that at a major conference school in the day and age of 24/7 sports media coverage and the internet doesn't seem like the smartest of ideas. This isn't to say that point shaving might not be happening at bigger schools today, but it certainly seems easier to affect the outcome of games that aren't as well publicized or scrutinized than those that are on national television and feature high profile athletes and teams. 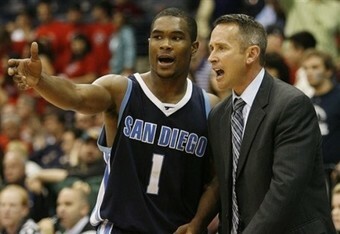 Enter a program like the University of San Diego, which 95 percent of college basketball fans probably hadn't heard of before the news of this scandal broke and is a perfect target for those individuals who might be trying to manipulate the outcome of lower level Division I college basketball. When it comes to gambling, people are looking for any possible advantage over the general public and the sports book they can find, which obviously has the potential to make their wagers more informed and generally speaking, more likely to be successful. The sports books are obviously going to do their homework about every single game they put a line up for, but the potential for an informed gambler to have a leg up on the sports books concerning a team like San Diego is far more likely than them having a leg up about any major conference team. Because of this, it's not only more attractive for someone to organize a bookmaking scheme at a smaller Division I school but it would also seem that it's more difficult to get caught. 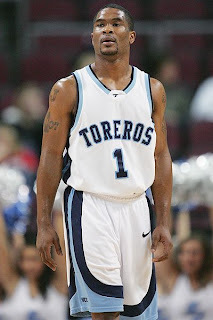 The most recent point shaving allegations at the University of San Diego were uncovered not because someone in Vegas noticed something strange in the betting patterns or line movements, or because NCAA investigators finally cracked a case which had vexed them for over a year, it was because the same people involved in the bookmaking and point shaving in this particular case were also distributing marijuana. If not for the FBI's investigation into the marijuana distribution, it's likely that what happened at the University of San Diego would not be known and would still be going on. The problem here is that the NCAA doesn't have the man power or specialists to conduct these types of investigations. So as much as we would like to believe that Mark Emmert and Co. are on top of everything, the reality is that there's simply a limit to what they can police when it comes to point shaving in college basketball. With regard to major Division I college basketball teams like Kentucky, North Carolina, or Duke, the attention of the media and fans is certainly more focused on these programs. These teams are so heavily monitored that it would probably stand out if something strange happened in the second half of a huge game or if Kemba Walker was seen having dinner at Applebee's with a suspicious person. On the other hand, there are plenty of schools in Division I that aren't in the public eye. Do the basketball programs of Longwood, SIU Edwardsville, or Maryland Eastern Shore ring a bell to anyone who doesn't live in the vicinity of these schools? Probably not, but they all have Division I college basketball teams which you could place bets upon and stand to make a sizable amount of money if you knew what you were talking about or happened to be shaving points. The college basketball programs at these schools are no doubt smaller than some of the major high school teams from across the country and probably receive less television time and interest as well. Because of this, it certainly seems logical that organized crime rackets would target smaller Division I programs with the intent to shave points and parlay this into making big money by betting on the games in Vegas. If Tim Donaghy can affect the outcome of point spreads in NBA games for two seasons to his and the mafia's advantage without anyone knowing, how is the NCAA going to police all 345 Division I teams? When you take into account how much money stands to be made and the fact that there's no lack of small Division I college basketball programs that are (relatively speaking) fairly inconsequential and lightly followed, it seems almost certain that point shaving is going on at other schools as well. It's obviously impossible to know how many games or teams are involved, but a study that was conducted by Justin Wolfers (an economist at the University of Pennsylvania) which looked at the results of every college basketball game from 1990-2006 and specifically at the point spreads of these games, led him to an unsettling conclusion. Among other things, the study found that a large number of heavily favored teams often just miss covering the spread. According to the study, there were many instances of games in which a given team might be favored by 10 points only to see a surprising number of 8- and 9-point victories while seeing a relative lack of 11- and 12-point victories. There are certainly other explanations for what Wolfers found, but the conclusion he came to was that point shaving is occurring in about six percent of all college basketball games with big point spreads. With everything that we know about college basketball and point shaving, it's fair to say the University of San Diego isn't the only school where illegal activity is taking place, they were just the only school that got caught this time. 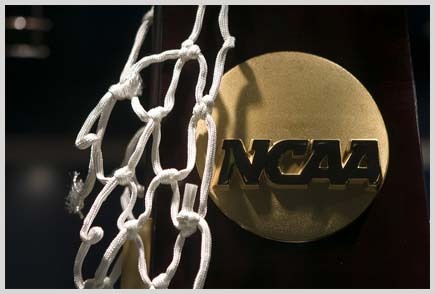 Is college basketball as free of point shaving scandals as the NCAA would like the public to think?